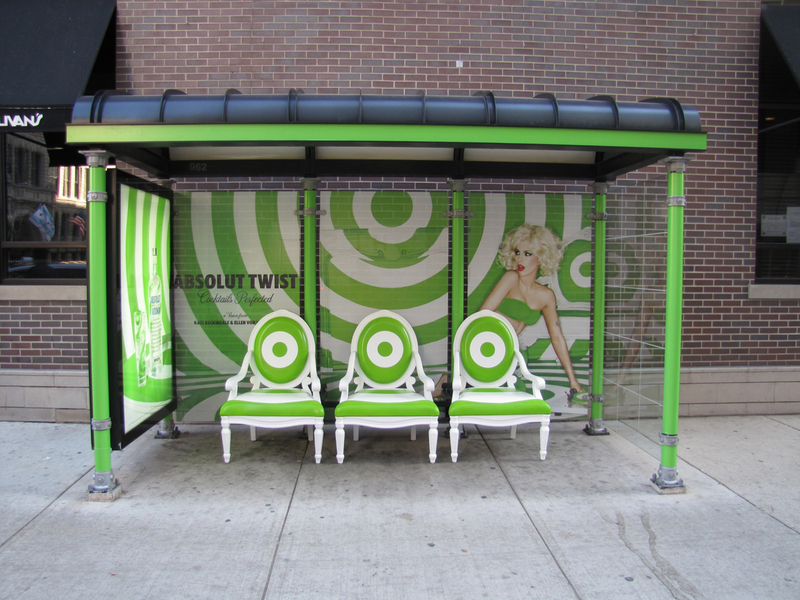 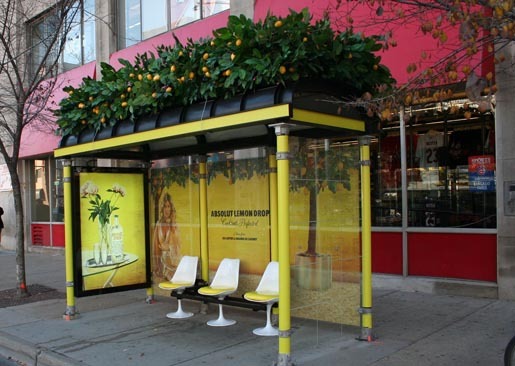 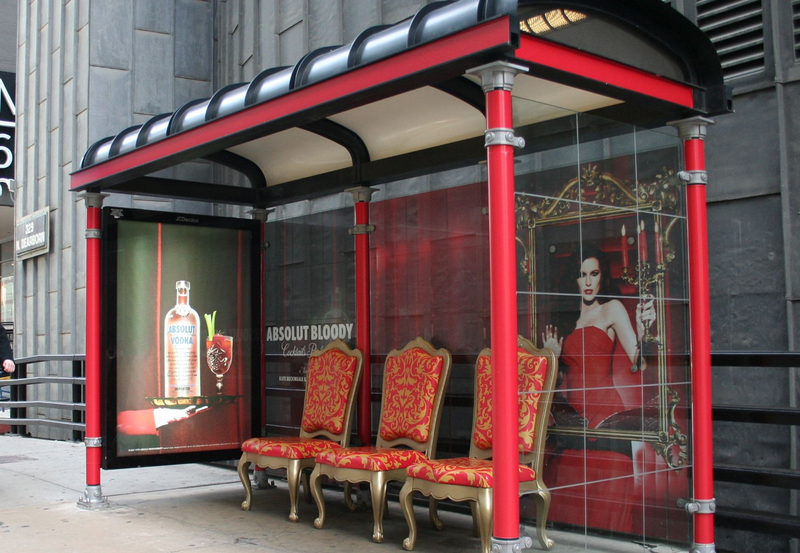 Absolut Vodka has commissioned a set of bus shelters in Chicago, bringing to life the worlds that embody Absolut Lemon Drop, Absolut Twist and Absolut Bloody. Photographers Ellen Von Unwerth and Amanda De Cadenet have incorporated celebrities Kate Beckinsale, Zooey Deschanel and Ali Larter into tactile installations for people to enjoy with original seating, stunning colors and even tropical plant-life. 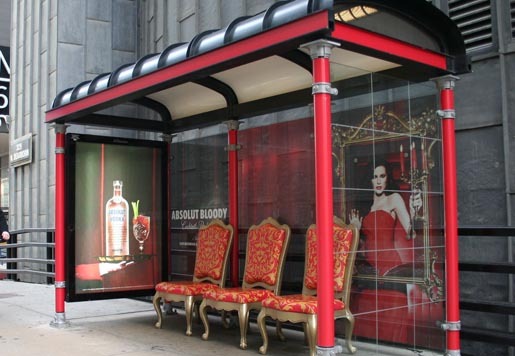 The Bus Shelter campaign was developed at TBWA\Chiat\Day New York by creative director Mark Figliulo, art director Jin Park, associate art director Nicolas Troop, photographers Ellen Von Unwerth and Amanda De Cadenet.